Windows 10: Are You In? The Jury’s Out. If there is anything I detest more than upgrading software, it’s upgrading an operating system. OK, now I’ve said it . . . Yesterday was a day just like any other, except a new operating system, Windows 10, was officially launched. Was it the dawn of a new day for Microsoft, or a yawn like any other day? More importantly, are you going to jump on the bandwagon or get in the back of the bus to see if it’s worth the effort? I haven’t heard of many users clamoring for this release, and Microsoft hasn’t exactly had the trumpets blaring and proclaiming the birth of its new baby. Why is this happening (or not)? Below is a brief overview of the new Windows 10 operating system that became available as a free upgrade (to some, but not all users) starting July 29th. As the new Windows 10 was prepared for public launch yesterday, Microsoft oddly, wasn’t really talking about it much before, during, or after the launch. However, there sure have been a flurry of patches available from Microsoft the past few days and weeks. It will be free to certain users (more about that later); has elements of Windows 7 and 8.1; and will affect desktop, mobile, and Xbox platforms. Unclear is exactly what existing technology Windows 10 will and will not work with. This uncertainty is certainly bound to put a lot of people off upgrading, at least right away. Even Microsoft’s “official” forums don’t agree on this vital issue. No one really knows whether your PC will be ready, and you won’t either until after you upgrade. If too many problems occur, you have an out (also discussed later). For a number of reasons, I have been a fan of mobile workstations, so I was very interested in taking a quick look at a new machine from BOXX that is truly mobile . The GoBOXX 15 G1980 is relatively thin. 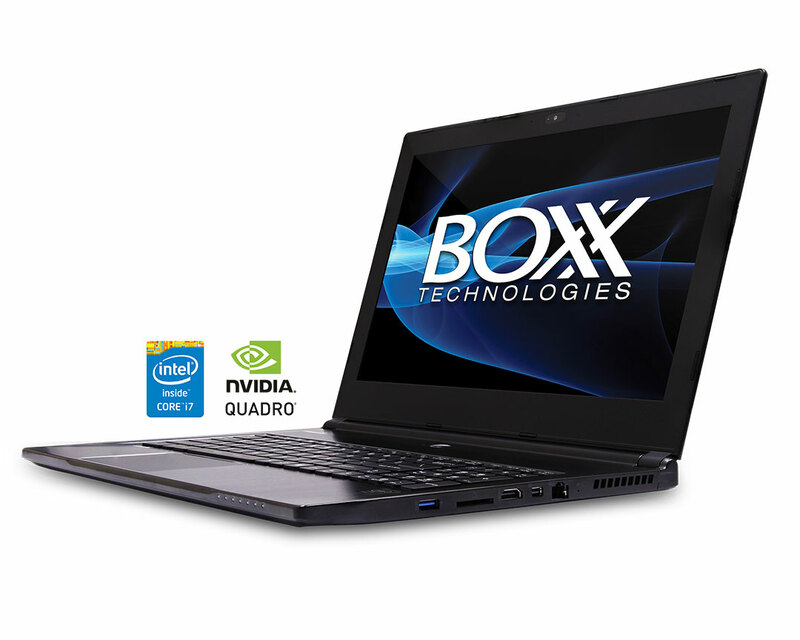 It’s the thinnest and lightest laptop BOXX has ever offered, weighing in at 4.36 pounds and 0.78 inches thick. The backlit keyboard is nicely laid out with large wrist rest and trackpad areas. However, the letters on the keys takes a little getting used to, as the font on them looks a little like something from the movie, The Matrix. As with all BOXX mobile workstations we have reviewed in the past, screen resolution and color were very good with the GoBOXX 15 G1980. Its fan runs when the system gets taxed, but does not run all of the time, and is fairly quiet with no obnoxious whining sound frequency. With programs running and WiFi on and operating, I averaged about 4.25 hours of battery life. Not bad, but also not great compared to some other mobile workstations I’ve used lately. While smaller (thinner profile) than previous BOXX mobile workstations we have evaluated, the AC adapter is still quite large. I know to a great extent this can’t be helped, but it just gets a bit annoying to have to lug something this big around to work as part of a “mobile” package. For many years all of the major CAD vendors have been touting the importance of managing the mountains of design, engineering, and manufacturing data created using their software. Conversely, most manufacturing organizations, large and small, have made the transition from 2D to 3D and are finally investigating how to best manage these mountains of CAD and associated product development data beyond files, folders, Excel spreadsheets, Window Explorer, and FTP servers. It is estimated that approximately 70% of commercial CAD seats today still are not connected to any product data management (PDM) system, and the CAD/PDM/PLM companies are very aware of this situation and are doing everything possible to change it. It has come down to an aggressive SMB-marketing of existing “scaled down” or “right-sized” PLM solutions, as well as introducing of new opportunities by leveraging cloud and open source solutions. The biggest challenge in the SMB space is promoting an answer to the question, “Why change?” At the end of the day, if a company can get things done by using Excel, Office and email, a very compelling alternative solution to change is needed. Small doesn’t necessarily mean simple. Small- and medium-sized business is complicated and competitive. Cost and implementation challenges are still two key elements that every vendor struggles with when trying to provide a viable PDM solution for SMBs. While these are impressive figures, many SMBs are still not convinced of the benefits of PDM and remain on the fence as to whether to implement it or not. This indecision presents both a challenge and an opportunity for making believers of SMBs in PDM. Searching for and reusing product information.